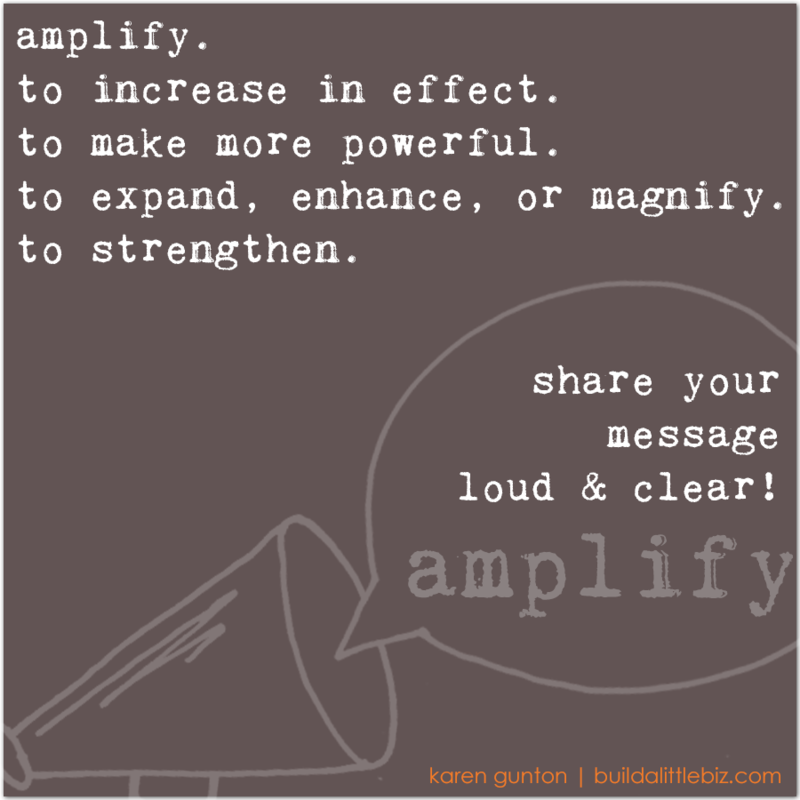 Would you love to learn how to amplify your brand? Want to share your brand message loud and clear? Are you ready to stand out and attract your most awesome customers? Join the amplify your brand online workshop! So many courses teach you how to build your initial brand but few go beyond that. After several months, you start to get bored in your business and your brand becomes watered down. Karen shows you how to take your existing brand and build it up to something powerful. She teaches you how to spread it out to cover your website, your mailing list emails, your social media presence, even your presence in person! Having a consistent brand makes you more recognizable, attracts many more of your ‘right’ customers, and gets you a lot of media attention (because who doesn’t get attracted to a professional, attractive brand?). What makes this e-course unique? Personally, we loved that it was delivered via email. Most of the time when people take a course, they fall behind after the third week (or third day). Since Karen’s course comes straight to your inbox and never expires, you can fit it into your busy work schedule. For most of us, we love what we do but we don’t necessarily love working ON our business. There always seems to be so many things to tweak. Amplify Your Brand shows you how to make your branding concise, distinct, and consistent, which means no more tweaking after you set it up right following Karen’s advice. Having a recognizable brand means it begins to work for itself and that certainly takes a load off your shoulders. Karen shows you how to fall back in love with your business because your better branding means it’s a more accurate reflection of you and your passions. No matter what stage your business is at, no matter what type of business you have, no matter how new or established or in a state of change your brand is, Amplify Your Brand will help you get crystal clear on the message you wish to send. You’ll also find new and fun ways to share that message with the world loud and clear.